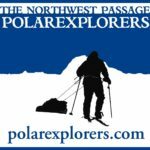 With over 23 years of experience, we specialize in organizing and guiding expeditions to all the polar regions including expeditions to the North and South Poles, Greenland, Iceland, and South Georgia Island. We emphasize safety, environmental and social stewardship, first class guest services, and industry-leading training opportunities. We know that the ends of the Earth are remote, extreme, often inhospitable and intensely beautiful.